It's about two weeks or so before the curtains for the Big Brother All stars fall but before they do so, seven barnmates have been nominated and two of them will get a 'third' chance to compete for the grand prize of US $ 200,000. 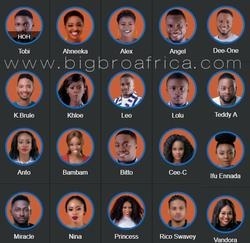 The mere fact that all the participants had played the game before and they never won, they were given a second chance in the All Stars. 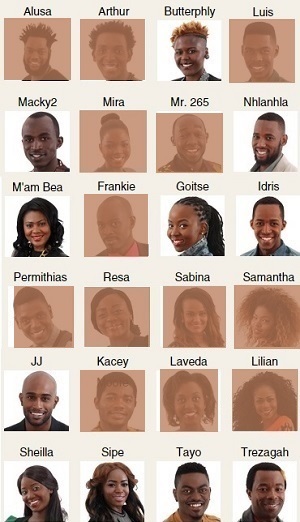 Some of these housemates could still not measure up as far as Africa is concerned, so they were evicted to the barnhouse loosing the second chance. Biggie makes the rules and oh yes it is entirely up to him to twist the game the way he/she feels. Last Sunday, Meryl was evicted a day after her ''engagement" to Tanzania's Mwisho who only got one vote to stay in the house, otherwise they were supposed to pack their bags together and head for the barn had Mwisho's country not voted for him the way Namibia did to Meryl. This week Africa will again decide which two barnmates will become housemates but the poll conducted by Uganda Online for the last one week suggests that Sheila(Kenya) is polling at 73% followed by Angola's Tatiana at 15% out of 8004 votes. The poll leaves out Meryl for the simple reason, she scored zero votes that led to her being thrown to the barn. Simple logic, If your country cannot vote for you to stay in the house then how can other countries vote for you to bounce back to the main house. If Hannington, was still in the barn, he was likely to be one of the two housemates to bounce back to the main house. Meanwhile, some analysts of the game say that the ''Merylsho'' engagement was just a stunt aimed at confusing Africa and knowing Meryl, sustaining the ''Merylsho'' arrangement for a month after the game will be out of question.